• Do you have a favorite recipe that you are willing to share? CLB: This is a recipe for starving students, invented when I was a student—take one tin of tuna, one tin of sweetcorn and one tin of chopped tomatoes. Put into a saucepan and heat gently for at least 20 minutes until it all thickens. Then eat with crusty bread. • Tell us something that people would be surprised you know how to do. CLB: Drive a rally car. My husband treated me to a Rally day at Brands Hatch a while ago for a special birthday and I learned oversteer, understeer and how to get out of a 360 degree spin! When down-on-his-luck minder Chase takes on a job for a fading gangster, the job and his charge both turn out to be very different to what he expected. Someone is trying to sabotage the mobster’s business and doesn’t care who they hurt in the process. Soon Chase finds himself on the run with his charge, trying to carry out a friend’s last wishes before their pursuers catch up with them. They sneaked down the stairs and along the corridor like ghosts, the voices of the killers shouting in the distance. Chase went first and they reached the long, white kitchen. The spare sets of car keys were in a box by the back door so people could take or return them on the way out. He had just grabbed one when Jody clutched his arm. “I have to go back for my phone,” he hissed. “Come on.” Jody pulled his arm again and they crept out of the kitchen towards the stairs and Jody’s bedroom. They reached Jody’s room and it only took him a few minutes to locate the phone and shove it in his pocket. Then Chase remembered something. “Quick, come with me.” He steered Jody into Tony’s office, unlocked the safe, took out stacks of notes and put them in his rucksack. Jody gulped and nodded, his brown eyes wide. “Good.” Chase let him go and dragged him out of the office and down the stairs. Catherine L Byrne writes stories about relationships which push buttons and provoke reactions from readers. She writes about both gay and straight relationships, depending on which characters in her books shout the loudest to have their stories told. An inquisitive author, she prefers writing about different situations in each book rather than writing a series about the same one—her stories range from 10th century Viking Britain, to modern educational settings and from mystery to romance. As she was born and bred in England and lives there with her family, this infuses her books with a distinctly English tone. She has been writing since as long as she can remember and Extasy Books have published her novels since 2014. 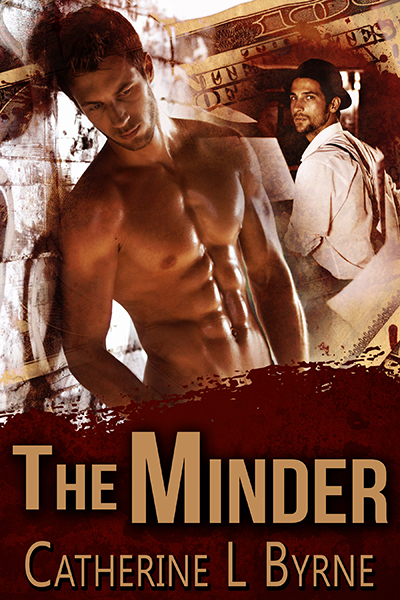 Enter to win a Rafflecopter Prize: E-copy of ‘The Minder’. Must be 18 years of age or older to enter. Link and prizes provided by the author and Pride Promotions. 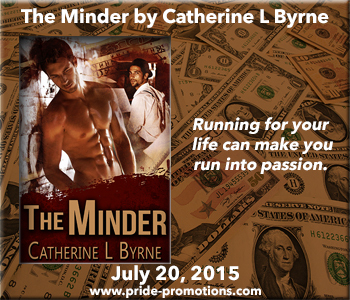 This entry was posted in Book Giveaways, Book Reviews, Book Tours and Contests, Books, Contemporary fiction, eBooks, LGBTQ Book Reviews, M/M Book Reviews, M/M Contemporary Fiction, M/M Fiction, M/M Romance, Uncategorized and tagged A Pride Promotions Book Tour and Contest, author Catherine L. Byrne, eXtasy Books, M/M Mystery Thriller, The Minder by Catherine L Byrne. Following my previous guest posts about “How The Baker was Born” and “Scottish Baking”, I thought it might be fun to talk about Tartan Day. It’s not a widely known event as far as I am aware, but I came across it as I was doing research into Scottish baking and holidays. Tartan Day plays a central role in Ian and Cameron’s story. In the book, Ian’s friend Matthew, son of Casper’s mayor, is the one to first explain what it is and how it might be significant. “I think you may need help with that.” A man with unkempt dark hair and sparkling green eyes pops into my virtual chair this time. He might be anywhere between twenty and thirty, and his comfortable jeans and slightly wrinkled shirt confirm that he doesn’t pay a lot of attention to appearances. “And you are?” I lean forward, curious to find out more about him. “I’m Matthew Tadman. Ian and I have been friends since high school.” He grins and settles in. “Tartan Day.” Matthew looks at me as if I’m supposed to know what he’s talking about. “Tartan day is a celebration of Scottish heritage on April 6, the day of the declaration of Scottish independence made in a letter to the pope in 1320. Some people say it’s because the American version was modeled on it, and almost half of the signers of our Declaration of Independence were of Scottish descent. But that may just be a theory.” Matthew drew himself up to sit straighter. “So what does that have to do with Casper, Wyoming, and Ian’s story?” I am slightly puzzled but at the same time am beginning to think this could provide an excellent backdrop to Ian’s struggle against his dictatorial father with his antiquated ideas. You can find out more about the book’s development in my upcoming final guest post during this tour, as well as read six totally exclusive short excerpts. Ian Wallace works as a baker for his tyrannical father in their family owned Scottish Bakehouse in Casper, Wyoming. He wants to represent the bakery in the upcoming Tartan Day competition, but his father refuses to reveal the secret ingredients that make them so successful—unless Ian gets married and has a son, proving he is fit to continue the family line. Just before New Year’s Eve, Cameron Lewis, a former Marine turned police detective, comes into the bakery for donuts for his department and some black buns for himself. Cameron is hooked, and as his visits become more frequent, they stir Ian’s father’s suspicions. But threats can’t stop Ian from donning his kilt and entering the competition anyway—to show his father what he can do on his own. Though he might not have the secret ingredients, Ian and Cameron might still discover a recipe for happiness. Just before nine things had slowed down to a manageable level, and Ian was about to take a short restroom break, leaving the store to Senga. But then the doorbell tinkled yet again, and the most gorgeous man Ian had ever laid eyes on walked into the store. He was tall, probably over six feet, had blond hair in a ruthless buzz cut, and his warm brown eyes invited Ian to trust him. The man was well built, muscular like a Marine, and wore a smart dark green suit, covered by an open black winter topcoat. His facial expression seemed guarded but curious as he looked around the store. Ian had the strangest feeling he was cataloging exits and potential sources of danger. Thank God Senga was busy with a group of women unable to decide what they wanted so Ian had an excuse to talk to the guy. “What can I do for you, sir?” Ian’s voice sounded suspiciously hoarse, and for the briefest moment, a spark of heat appeared in Mr. Good-looking’s eyes. “I’ve never been to this bakery before….” The stranger trailed off as he examined Ian with the same curiosity and concentration he had used to assess the shop. I know you haven’t. I’d definitely remember you! “Station? Donuts?” Ian’s brain refused to function for a moment. “Yeah, I’m a cop. Well, a detective actually, but it doesn’t seem to matter. I love donuts, and so do my colleagues.” The stranger laughed, and the deep, resonant sound thrilled Ian to his core. “Your… buns?” Mr. Detective’s eyebrows rose, a twinkle appeared in his eyes, and an amused smile curved his dark red lips. “Yes. The black ones.” Ian pointed at the cakes, only to realize what the stranger must have meant when the man couldn’t stop grinning. Heaven above, was the gorgeous specimen of male beauty gay? But who else would have gotten the joke? Not that Ian had meant it as a joke. He was deep enough in the closet he didn’t know how to begin looking for the door, never mind find it. He definitely wouldn’t mind trying if this guy were on the other side, waiting for him. But Mr. Detective probably wasn’t out either, even if he were gay. A gay cop, or detective, wouldn’t make it out here in the wilds of Wyoming. Ian could feel himself blush even as he realized he was now babbling in his own head. Ian laughed as he rang up the purchase and took the guy’s money. As far as I’m concerned, you can come back anytime, Mr. Detective! I’m a night owl and start writing when everyone else in my time zone is asleep. I’ve loved reading all my life and spent most of my childhood with my nose buried in a book. Although I always wanted to be a writer, financial independence came first. Twenty-some years and a successful business career later I took some online writing classes and never looked back. Living and working in seven countries has taught me that there’s more than one way to get things done. 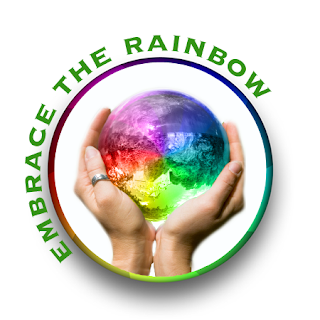 It has instilled tremendous respect for the many different cultures, beliefs, attitudes and preferences that exist on our planet. 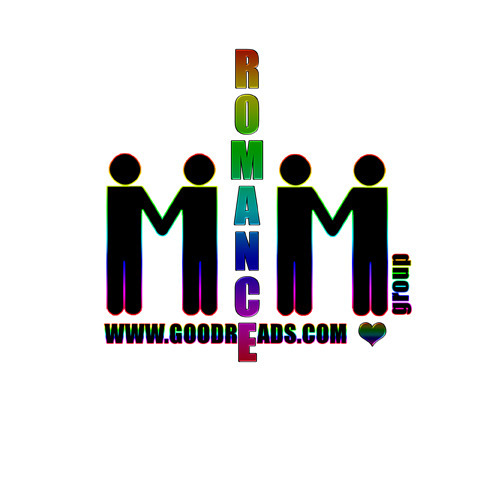 I like exploring those differences in my stories, most of which happen to be romances. My characters have a tendency to want to do their own thing, so I often have to rein them back in. The one thing we all agree on is the desire for a happy ending. I currently live in the United Kingdom, sharing my house with a vast collection of books. I like reading, traveling, spending time with my nieces and listening to classical music. I have a passion for science and learning new languages. THREE Winners win: $10 Amazon/ARe Gift Card. THREE Runners-up win: E-copy from Serena Yates’ backlist! This entry was posted in Book Giveaways, Book Reviews, Book Tours and Contests, Books, Dreamspinner Press, eBooks, LGBTQ Book Reviews, M/M Book Reviews, M/M Contemporary Fiction, M/M Fiction, M/M Romance, Uncategorized and tagged A Creative Minds Blog Tour and Contest, A Workplace Encounters story, author Serena Yates, gay baker in love, The Baker by Serena Yates. Katriona Sparrow, dubbed the Mad Heiress by London’s upper class, is the deceptively fragile ward of a foreign nobleman. She can’t stand making small talk with strangers, but she’s unparalleled when it comes to deciphering the dead. On a routine investigation, something goes horribly wrong, leaving Katriona catatonic in an upscale hospital and a serial killer with an artistic bent stalking London’s most vulnerable. Enter Anthea Garlant, a young witch and academic ostracized from polite society for traveling the world without a chaperone. She devises magical treatments to protect Katriona from the side effects of her abilities, but as she grows more and more attached to Katriona, her professional façade begins to slip. Will they be able to stop the man who turns beautiful dead women into works of art before he turns his attention much closer to home? Previously published through Kindle Unlimited. She was so beautiful that she looked as if she was only sleeping, but clearly she’d cried tears of blood. She was dressed in clothing that appeared expensive but was cheaply made; a poor girl wanting only for a day to live beyond her means. From far away, she seemed to wear pearls and sapphires. Up close, the pearls were her teeth, and the sapphires were her plucked-out eyes. And the golden sash around the waist of her plum-colored taffeta gown? It was made of hair. She also wore a heart-shaped locket, clearly her own. Although tarnished somewhat, and made of much cheaper material, it was of a similar design to Anthea’s, provoking an odd frisson of familiarity. Whatever our profession, whatever our station in life, we’re all women, Katriona mused as she crouched beside the corpse. And if one of us is in danger… then we all are. The girl’s mouth had been filled with dirt; the sort of unremarkable dirt that could have come from anywhere in London. Some of it was smeared across her chin. In her lap, she held another girl’s head. “Salome and the head of John the Baptist.” That came from Anthea, who was tilting her head at the scene. “Sorry, what?” Inspector Claybrook looked up from the body. “This is his art,” Katriona murmured thoughtfully. This woman would offer her another piece of the puzzle, she was sure of it. “I’ll hold your gloves for you,” Anthea said in an undertone. Katriona removed them and held them out with an almost imperceptible nod. Anthea transferred them to her reticule. There were still other people around, but for all intents and purposes, it had become just Katriona and the corpse. This small, powerful figure was radiating something inexplicable—still delicate, but somehow frightening. Her eyes were so blue that they could drown a man. She touched the decapitated head first. I had a dog. I had a dog. Who will feed my dog? “I’m sorry, but that’s all I can get. She’s been dead for days. She’s well-preserved, but I can’t read her. I suspect it’s from the same woman we found the other day, but…” If I died, she thought, I’d be so afraid for Sentinel. She felt closer than ever to this dead girl, the one whose name she did not know. “At least it was only a whore,” a constable murmured behind her. Instantly Katriona wanted to tear off his head and eat him whole. Men! They visit prostitutes, yet they look down on them. None of these girls deserve to be told “Your friend is dead” by an uncaring and contemptuous man. Katriona made an impulsive decision. She crouched further over the corpse, using her body to shield her movements, and ripped the heart locket from her neck, tugging until the cheap chain broke. Surreptitiously, she dropped it into her white kid boot. Next, she ran her hands through the woman’s curly dark hair. Her voice changed, becoming noticeably less cultured; now there was a rich warmth to it and a Cockney accent. Katriona wavered, but held her grip on the memories. She would follow this to the end. “—I can smell earth. ‘Run, little rabbit,’ he says. ‘Run away from the hunter’s horn.’ But I’m not running; it’s too dark. Blacker than night. Rather die than be in the dark, than lose my way in the dark down in the earth. I fight like a tiger. I try to scratch his face but he grabs my wrists and—God, he’s strong! Kick him in the jewels and he moves out of the way—too damn fast, too damn fast—where’d he go? Hands around my neck—squeezing the life out of me—I can’t breathe! Please don’t kill me. Please, no, no, no… Now I’m afraid but I’m angry, and I hold his gaze until my eyes roll back. He told me I made a mistake, I deserved to die because he couldn’t have imagined the girl he loved saying such dirty things. All at once, Katriona’s aura of power seemed to startle back inside her skin. Her eyes opened. She lurched backward, wide-eyed and pale. Anthea was at her side at once, and Katriona held onto her for stability. “Are you going to be all right?” Anthea’s voice was as low and mesmerizing as ever—as beautiful as a hypnotist’s—and Katriona followed the sound of it as it led her out of her fear. She buried her head in Anthea’s neck, taking in the twin fragrances of jasmine and bergamot. Anthea made her feel like the best and strongest version of herself, a little less neurotic and a little more rational. She thought she wanted Anthea around for the rest of her life. A flash of thought: If she holds onto me any longer, people will think we’re betrothed. Did it come from Anthea or from her? She couldn’t quite care, couldn’t tell. Reluctantly, because Katriona knew what it was like when people held onto her too tightly or for too long, she let go. “Yes.” Now that you’re here. Kayla Bashe is a literature/theater student at Sarah Lawrence College. She has previously self-published several novels, and her story A Muse Afire was featured in the first issue of Vitality Magazine. Her passions include Shakespeare, feral cats, and answering “If you want more diversity, write it yourself!” with a variety of snark. 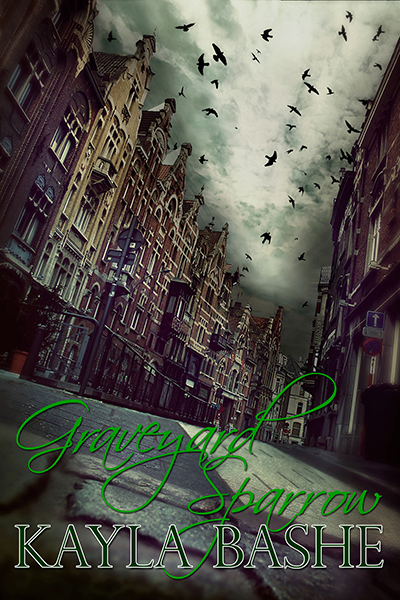 Enter to win a Rafflecopter Prize: E-copy of ‘Graveyard Sparrow’. Must be 18 years of age or older to enter. Link and prizes provided by the author and Pride Promotions. 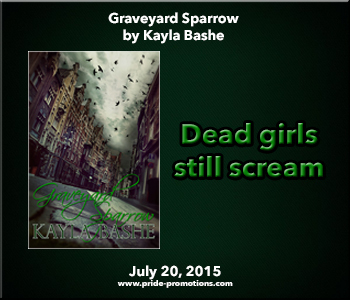 This entry was posted in Book Reviews, Book Tours and Contests, Books, eBooks, LGBTQ Book Reviews, Torquere Books, Uncategorized and tagged A Pride Promotions Book Tour and Contest, alternate universe, author Kayla Bashe, bisexual, Crime Fiction, F/F Alternate Universe Romance, fantasy, Graveyard Sparrow by Kayla Bashe, historical, Lesbian romance, Romance.